Bishop's Stortford Choral Society (BSCS) is the premier choral group performing large scale choral works in Bishop's Stortford. We perform two or three concerts each year, with orchestral or keyboard accompaniment and sometimes in conjunction with other choirs. Though our repertoire has sacred as well as secular music, we are independent of any religious organisation. 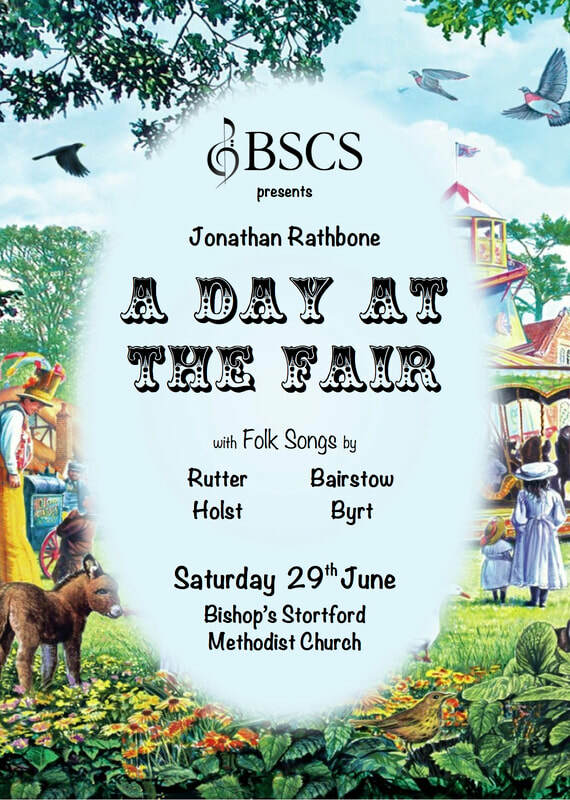 Come along and have a sing!! the Diary for holidays, change of venue etc. New members are always welcome at any time. the ﻿treasurer﻿ or consider becoming a Friend of BSCS.